When there’s a bun in the oven, one of the first things new parents do is create the perfect nursery for their baby. A lot more goes into creating a nursery than just picking either pink or blue paint, or puppies or clowns on the wallpaper. The space has to not only be clean and inviting, but healthy as well. And if it can be created using eco-friendly materials, all the better. One of the main considerations of any room, of course, is flooring. Here are some healthy and for soon-to-be parents. 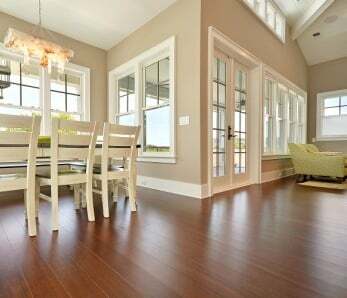 Hardwood floors simply never go out of style, and they look beautiful in pretty much any room, nurseries included. In fact, they can work very well in a nursery because spills are easy to clean up and they keep dust down to a minimum. As beautiful and traditional as hardwood is, there are some downsides to installing this flooring in a nursery. Hardwood floors tend to be quite expensive. Also, it’s common for parents to transition the nursery into the toddler’s bedroom, which will get turned into the little kid’s bedroom, teen’s bedroom, etc… This means the floors may get a lot of wear and tear. Parents who want the look of hardwood in the nursery should consider padding the floor with area rugs. This will protect the floor as well as protect little ones who may take a tumble on it from time to time. 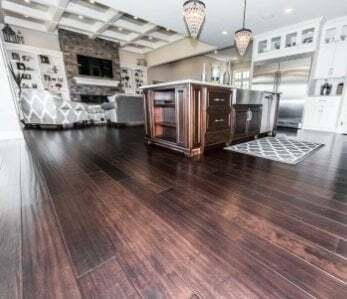 Although carpeting adds softness and warmth to any room, and it is quite affordable compared to other flooring options, it comes with some pretty nasty side effects which are not in the least bit healthy. Carpet gets dirty very quickly and easily and is hard to maintain and clean. It traps dust and other allergens and in wetter regions of the country can harbor mold and mildew. For those individuals who want carpeting in the nursery, a good option is to go with a natural fiber such as wool, sisal or cotton. These natural fibers are not only better for the environment, they’re better for your family’s health because they are mold resistant and don’t emit any synthetics into the air like polyester and nylon carpets do. Made from the bark of the cork oak tree, cork is a highly renewable material. Cork flooring is very durable and mildew and water resistant (good for those spills that can happen). It is also a soft flooring material which can be great when your child grows and has a lot of energy to run around and take some tumbles or dives. 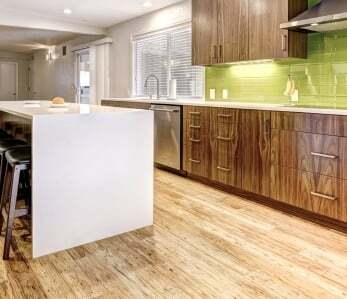 Bamboo has become a very popular flooring option for environmentally conscious homeowners. Since bamboo is actually a plant and not a tree, it can renew itself in as little as 3 – 5 years. Compare that to a hardwood tree that can take up to 50 years or more to regenerate. 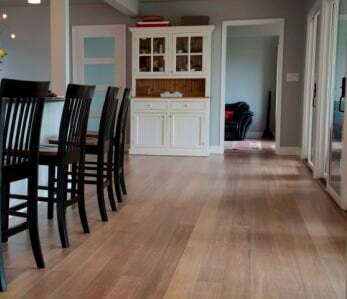 Bamboo is a healthy choice of flooring in any room, especially a nursery because it has very low chemical emissions. It is hypoallergenic so there is no need to worry about trapping dust or pollen in your baby’s room. It is also antimicrobial, waterproof and very durable. Oh, and beautiful as well. 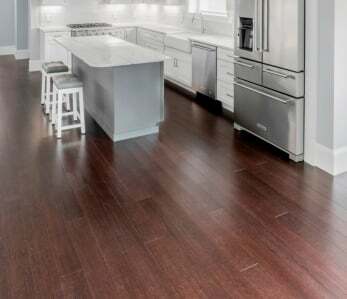 And with a much than say hardwood flooring – bamboo generally costs $3 to $5 per square foot – it’s a great option for new parents on a tight budget.